A solid performing printer that is very expensive to run but is ideal for people who don't print much but still need the option for occasional documents. 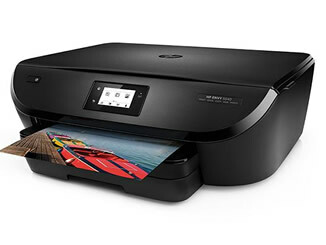 The HP Envy 5540 is a decent all round printer that, like all budget printers, is very expensive to run. It's ease of use makes it ideal for less tech savvy people to use, and solid overall print quality for documents and photos means it can suit any household. You don't really need much more in a basic home printer, so this budget machine ticks those boxes. Budget printers are never the speediest, but the Envy 5540 does its best with up 8 pages per minute (ppm) for basic documents. This is competitive with similar budget models and you won't get much faster without spending more on your printer. Full A4 photos are again similar to competitors, with prints nudging out around two minutes per page. The HP Envy 5540 is the personification (printerfication?) of jack-of-all trades when it comes to quality. It can print text documents, handouts and photographs all reasonably well, but none of them are groundbreaking. Text is accurate and fairly sharp, even at small fonts, so any homework or boarding passes are more than good enough. Colours and photographs come out very much 7/10, some colours can appear washed out, or fuzzy in some overly detailed parts, but overall they're solid results from a budget printer. No matter what you're printing, you'll likely be pleased with the results from a printer that is so cheap. 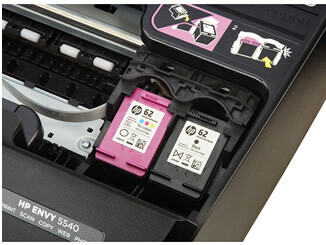 As with most budget printers, the HP Envy 5540 uses only two cartridges, each with the printhead built in. It uses a single black and a colour that combines the cyan, magenta and yellow inks. This can lead to more waste than other printers, due to having to replace the colour cartridge once one colour runs out, but the printhead being built into the cartridge protects those who rarely print against any damage to the machine. Running costs are not cheap, with prints working at around 8p per page using the standard capacity inks and 6p per page for the high capacity inks. You can drop this to around 3p per page using refilled options, but this is still far more expensive than budget options from, for example, Epson. This cost isn't for nothing though, the peace of mind you get knowing your printer won't break when not used for a month or more, and the ease of use and quality for the cost, is the trade off. A nice touch with the Envy 5540 is how frugal it is cleaning its printhead. All printers will run some kind of clean or initialisation when you turn them on/off or send a print through, and the 5540 uses very little in comparison to other machines. This keeps waste to a minimum and gets you more from each cartridge. Any low volume users that want to print a mix of documents without fussing over individual cartridges and hard-to-use printers. The HP Envy 5540 is designed for ease of use and minimal effort, and that it does well. 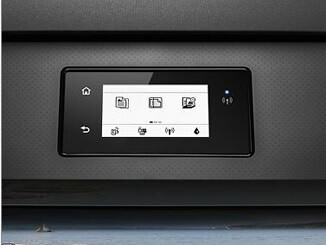 If you're viewing the HP Envy 5544 it is the same printer as this, just a variation made for certain shops to sell!